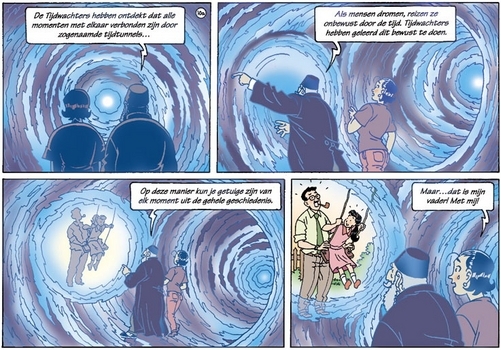 Geheim van de Tijd is a series of 4 comicbooks that i wrote in between 2002 and 2006. It is a story about an ordinary woman who gets involved in timetravel, esoteric sects and other things that have my interest. De Ontdekking. You can see a part of the story as half-animation here.